The Super Bowl is upon us, so you know what the means. Time for my annual Super Bowl Q&A!!! Oh, and what a historic Super Bowl this is. For only the second time since 1978 there will be a 9-7 club in the big game. So will the Cardinals prevail in their first ever Super Bowl appearance or will the Pittsburgh Steelers make it a record “six pack”? Before my much anticipated prognostication, the Super Bowl Inquisitor, who is to my blog what Bert Parks was to the Miss America Pageant, has some burning questions he needs answered. Q: After being outscored a combined 82-21 in weeks 15 and 16, the Arizona Cardinals have not lost a game since and are now in the Super Bowl. Is that the greatest turnaround ever? A: Actually, no. That distinction belongs to Dustin Hoffman when he won a best actor Oscar a year removed from starring in Ishtar. Q: Given his comments after the Super Bowl matchup was set, Cards’ coach (and former Steelers’ assistant) Ken Whisenhunt still seems somewhat bitter losing out to Mike Tomlin for the Steelers head coaching job. Will that carry any extra weight? A: Not really. David Letterman still whines about not getting The Tonight Show gig but that hasn’t helped him pass Jay Leno in the late night ratings. Q: What’s your reaction to NBC broadcasting the Super Bowl for the first time in eleven years? A: Let’s hope they take time out from shilling for Obama and just focus on the game. Q: How do you feel about Bruce Springsteen providing the halftime entertainment? A: Let’s hope he takes time out from shilling for Obama and just focuses on music. A: Carrot sticks, celery, cauliflower and vegetable dip. A: Just seein’ if you were on auto pilot given that you’re asking the same inane questions as previous years. We're going with the standard fare of an artery clogging feast. Q: OK, pop quiz. You ready? Q: Which team was the other 9-7 club to make the Super Bowl? A: The Los Angeles Rams in 1979. Q: Who is the only other QB, besides Arizona’s Kurt Warner, to start a Super Bowl for two different teams? Q: Who were the four QBs other than Pittsburgh’s Ben Roethlisberger to start at least two Super Bowls within their first five seasons? A: John Elway, Troy Aikman, Kurt Warner and Tom Brady. Q: Who wins Super Bowl XLIII? A: Three years ago the Steelers got their fifth Super Bowl ring, calling that title “one for the thumb”. With today’s odd fashion statements, we’ll call their sixth title “one for the middle toe”. A message to cause liberal ambivalence. After attending my first Minnesota Wild game ever on Tuesday, I achieved a personal milestone. In a one-year span, I have seen all four major Minnesota sports teams (Timberwolves, Twins, Vikings and Wild) in person. As big a sports junkie as I have been for thirty years, I'm surprised it took this long. 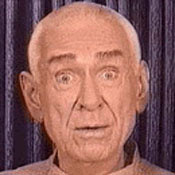 Marshall Applewhite was the leader of the "Heaven's Gate" cult. He convinced 38 of his fellow HG members to commit suicide back in 1997. 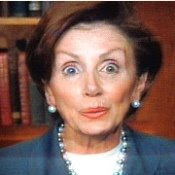 Nancy Pelosi (D-CA) is Speaker of the US House and advocate for leading this country into financial suicide. -Obama lifts restrictions on abortion funding. The President's first address from the Oval Office. Full disclosure: I voted for George W. Bush for President in 2000 and 2004. And I don't regret either vote, simply because he was the far superior candidate in both races. Does that mean Mr. Bush was my ideal candidate? Actually, no. In the 2000 race for the GOP nomination, I was a strong supporter of the fiscal policies of Steve Forbes while equally appreciative of the moral stance of Alan Keyes. However, it was George W. Bush who emerged the Republican nominee and thus he earned my support. Many on the left are totally incapable of having an intellectually honest discussion of the Bush presidency. They offer little more than vapid talking points combined with absolutely no rational thought whatsoever. Nevertheless, I feel the need to share my genuine appreciation for a man who has faithfully served this country for eight years. And he did so with the utmost conviction. -He was unapologetic about his faith in God and how Christ changed his heart. -When he took office in January 2001, we were in the midst of an economic downturn. Eight months later, the 9/11/01 terrorist attacks took place at the heart of America's financial district, the World Trade Center. Despite that, the President enacted his tax cut plan which stimulated the economy in the face of a potentially dreadful recession. -The Iraq war, which began in early 2003, is the one area of his administration where he has received the most scrutiny. While the initial operations were successful (including the removal of the brutal dictator Saddam Hussein within the first year of the war) the Bush administration clearly underestimated the violent insurgency. But the President proved his detractors wrong by actually being open to an adjustment in strategy while not giving up the fight for Iraq's democracy. A troop surge, under the stellar leadership of Gen. David Patraeus, was implemented in 2007 and thus has stabilized the country. In fact the Al Anbar province, once an Al Qaeda stronghold, soon became the tenth province to transfer to Provincial Iraqi Control. -President Bush hit a home run by nominating two solid constructionist judges, John Roberts and Samuel Alito, who were eventually confirmed to serve on the Supreme Court of the United States. -Mr. Bush also gained the respect of some detractors for his work in delivering billions to fight disease and poverty in Africa. This led Bob Geldof, certainly no Bush administration stooge, to slam the U.S. press for virtually ignoring the achievement. On the flip side, there are things the President has done that made me scratch my head. -His incessant cronyism, which led to such disastrous moments as Alberto "I don't remember" Gonzales being named Attorney General and the nomination of Harriet Miers to serve on the SCOTUS. Gonzales resigned over his bungling the dismissals of several US Attorneys, merely two years after being named AG. And Miers would remove her name from consideration for the Supreme Court due to her woeful lack of experience in constitutional law. Her resignation paved the way for Alito's nomination. -I often kvetched about President Bush's unwillingness to regularly communicate with the American people. As such, Congressional Democrats and the mainstream media often distorted the President's actions in such areas as the war on terror (especially Iraq) and the response to Hurricane Katrina with the President offering little in response, much less refutations. -His mantra of "Compassionate Capitalism" is a euphemism for expanding government. Such programs as No Child Left Behind, prescription drug benefits, corporate bailouts, etc. has actually grown government's role in the everyday lives of Americans. While approving the latest bailout plan, the President even went so far as to admit his abandoning free market principles. Yes, it's a sad day in this country when the GOP loses the mantle of fiscal responsibility. Many are quick to dismiss the Bush years as an abject failure, even to the point of naming him the worst US President our country has seen. Personally, I believe George W. Bush will be vindicated on the Iraq war and the overall global war on terror. Certainly his place amongst great GOP Presidents leaves a lot to be desired. But worst overall President in history? Not as long as the records of Herbert Hoover and Jimmy Carter are still out there. I am absolutely wrung out by all this coverage of the upcoming coronation inauguration of President Barack Obama that I needed a diversion. So when I got home this evening I flipped on ESPN to check out the recap of Sunday's conference championship games. As the program was concluding however, I was blindsided. They decided to promote some trading cards courtesy of Topps. You guessed it, it's the limited edition "Obama Trading Cards." I guess my resistance to the juggernaut is futile. NFL championship week: Pennsylvania prevails! Ravens (+6) at Steelers: In one of the more brutal rivalries, this one should have some extra spice. Not only is this for the right to represent the AFC in the Super Bowl but the Ravens are still seething over the 13-9 loss to the Steelers at home last month. Trailing 9-6, the Steelers embarked on a 12 play, 92 yard drive, culminating in a Ben Roethlisberger 4-yard touchdown pass to Santonio Holmes with 43 seconds to play. However, the play was initially ruled down inside the one yard line but was reversed and called a TD when the replay officials took a gander. Since that game you know the Ravens defense was hoping for another opportunity at their hated rivals. In the end, I believe the Ravens will not have enough to pull this one off. Since they had an unscheduled bye in week 2 of the regular season, Baltimore will be playing in its 18th consecutive week this Sunday. It looked as though the grind had taken its toll last week against Tennessee when the Titans moved the ball effectively while the Ravens missed some easy tackles. The Ravens were able to win in large part because Tennessee turned the ball over three times in Baltimore territory. They shouldn't rely on the Steelers making the same mistakes. I say the Steelers will emerge victorious 17-10. Eagles (-3.5) at Cardinals: When the Eagles hosted the Cards on Thanksgiving night, they were entering the game having endured a highly tumultuous week. But with his team limping along at 5-5-1 and having been benched the previous Sunday, QB Donovan McNabb responded by torching the Cardinals for four touchdown passes in a 48-20 Eagles rout. In this his tenth season as a pro, McNabb will be making his fifth start in an NFC title game. Cardinals quarterback Kurt Warner is no stranger to big games, having been to two Super Bowls and wining one. After a lackluster finish to the regular season, Warner has responded with two solid games this postseason. It also hasn’t hurt that the Cards running game has been rediscovered. Even though they’ve only averaged 3.3 yards per carry the past two games, Arizona has shown a commitment to sustaining a running attack. When was the last time the Cards ran the ball more than they threw it over a two-game stretch (71 rushes, 64 passes this postseason)? I look for McNabb to continue his resurgence as well as the blitz happy Eagles defense to force Warner into some bad throws (he was picked off three times in the week 13 matchup). New Vice President Joe Biden said last Fall that it’s “patriotic” to pay more taxes. Meanwhile, it’s been revealed that President-elect Obama’s pick for Treasury Secretary, Timothy Geithner, failed to pay $34,000 in taxes from 2001 to 2004. So in Biden’s mind, is Geithner unpatriotic? Last May I lamented the loss of one of my favorite blogs, entitled Yucky Salad with Bones. The blog's proprietors, siblings Katie and Bill, wrote some of the more hilarious dissertations which elicited many ear splitting laughs from yours truly. But due to time constraints, they decided to hang it up. Katie, Bill and a host of others have put forth a new offering called Doesn't Anybody Knock? Not sure the origin of the title, but who cares? It's Katie and Bill for crying out loud! In this his 12th year of eligibility, former Major League Baseball pitcher Bert Blyleven was once again denied enshrinement in the baseball Hall of Fame. I'm not sure what the arguments are against Blyleven's selection but his solid pitching stats over a 22-year career can hardly be argued. -Has 287 career wins, which is 27th all time. Bobby Matthews (297 wins) and Tommy John (288) are the only Hall of Fame eligible players ahead of Blyleven who have not been enshrined. -Is fifth all time in career strikeouts with 3,701. Ahead of him are Nolan Ryan (Hall of Famer), Randy Johnson (still active but seems to be a shoe-in for the HOF), Roger Clemens (sure Hall of Famer until the steroids allegations) and Steve Carlton (Hall of Famer). -Is fourteenth all time in innings pitched with 4,970. Twelve of the thirteen players ahead of him are in the Hall. The only one who isn’t? Greg Maddux, who just retired last month. Any doubt Maddux will be selected his first year of eligibility? Again, it's difficult to argue his enshrinement from a shear numbers standpoint, which leads me to ask what is keeping Blyleven out of the Hall? Today one of the classiest, most well-respected NFL coaches called it a career. Tony Dungy always considered football just a career path. On Monday, Dungy began the transition from head coach to full-time dad and devoted volunteer by announcing his retirement after seven years leading the Indianapolis Colts. "We just felt this was the right time," Dungy said. "Don't shed any tears for me. I got to live a dream most people don't get to live." The move triggered a succession plan Indianapolis put in place a year ago, making Jim Caldwell, the associate head coach, Dungy's replacement. In thirteen seasons as an NFL head coach (six with the Tampa Bay Buccaneers, seven with the Colts) Dungy compiled an astounding regular season record of 139-69. His .759 winning percentage as Colts head coach is the third best with one team in NFL history. He is also one of only three people to win a Super Bowl as both a player and head coach. Dungy is just as well known for his devout Christianity, which was publicly on display In December 2005. Three days before Christmas, Dungy’s 18-year old son, James, took his own life. It was that tragic situation which really showed us the class, character and dignity of Dungy. Instead of showing the breath-taking devastation he must have felt inside, Dungy, along with wife Lauren, rejoiced in the fact that their son was with Jesus. A little more than a year later, Dungy became the first African-American head coach to hoist the Vince Lombardi trophy when the Colts defeated the Chicago Bears in Super Bowl XLI. He did so in the same manner he has handled defeat and tragedy ---- with grace and humility. Yes, he was a better man than he was a football coach. And he was one heck of a football coach. ...and their studio pregame show featuring former Buccaneers and Raiders D-lineman Warren Sapp. Sapp had been razzing Atlanta Falcons LB Keith Brooking regarding a blown assignment in last week's loss to the Arizona Cardinals. Brooking responded by needling Sapp and his loss to supermodel Brooke Burke in the finals of Dancing with the Stars. Sapp responded by saying "Hey, I'll gladly be behind that or underneath that anytime." Any predictions on who will be the first to express the obligatory outrage over Sapp's comment? NFL divisional playoffs: We meet again. Chargers (+6) at Steelers: The Steelers needed a last second field goal to defeat the Chargers 11-10 in week 11. Despite the tight finish, Pittsburgh totally dominated that game in terms of total yardage (410-218) and time of possession (36 ½ minutes to 23 ½ minutes). However, the Steelers continually shot themselves in the foot with 13 penalties. While the Chargers defense did a fair job of handling Colts quarterback Peyton Manning last week, they can thank punter Mike Scifres for that. Scifres had a net 51.7 yard per punt average, pinning the Colts inside their 20 yard line six times. But he would be fortunate to do half that well on Sunday in blustery Pittsburgh. And even if the Chargers 31st ranked pass defense can contain Ben Roethlisberger they still have to contend with a solid running game which the Colts couldn’t muster. Willie Parker ran for 115 yards against San Diego in their regular season matchup and seems to be relatively healthy after missing five games in the middle of the season. Offensively, the Chargers will not be able to dent the top ranked defense in the NFL, with or without running back LaDanian Tomlinson, who has a torn tendon in his groin area. Steelers win and cover, 24-10. Ravens (+3) at Titans: When you think of the Tennessee Titans offense, you usually think of the running tandem of LenDale White and Chris Johnson. Combined, they rushed for 2,001 yards in 2008. However, they could only tally 48 in a 13-10 win over Baltimore in Week 5. Given what the Ravens did to the Dolphins rushing attack last week, I don’t anticipate the Titans being able to effectively run the ball in this rematch. Combine that with Tennessee center Kevin Mawae battling injuries, it seems like a great matchup for the vaunted Ravens D. Quarterback Kerry Collins will also have his work cut out for him against the NFL’s second ranked pass defense. Meanwhile, the Titans defense looks to regain the services of defensive linemen Albert Haynesworth and Kyle Vanden Bosch. The timing is perfect considering Ravens QB Joe Flacco hardly looks like the skittish rookie Tennessee saw in the regular season. It’s no overstatement to say that defense will decide this game given the Ravens and Titans are ranked second and seventh, respectively, in total defense. And this year’s Ravens remind me an awful lot of the 2000 Super Bowl champs. That season included a 24-10 divisional round victory in Tennessee. Baltimore springs the upset, 17-14. Eagles (+4 ½) at Giants: These division rivals split their regular season meetings with the road team prevailing in both games. The Eagles needed a small miracle to get in the playoffs but they’re here and definitely battle tested. The Giants, however, enter the postseason having lost three of four, including the 20-14 home loss to Philly in week 14. Look for the Eagles to get the ball to running back Brian Westbrook as much as possible. Westbrook singlehandedly torched the Giants last month with 203 total yards (131 rushing, 72 receiving) and two touchdowns. In their first matchup, the Giants rushed for over 200 yards. In fact, injured running back Brandon Jacobs has been able to practice all week and has declared himself ready to go. The Giants’ other 1,000 yard rusher, Derrick Ward, filled in for Jacobs quite nicely down the stretch, including a 215 yard performance against Carolina in week 16 which sealed home field throughout the NFC playoffs. I believe the Giants will win but not cover. John Carney kicks a last second field goal, giving his club a 20-17 victory over the Eagles. Cardinals (+9 ½) at Panthers: In Week 8 the visiting Cards held a 17-3 lead early in the third quarter only to wind up losing to Carolina 27-23. Arizona did a nice job containing the NFL’s second leading rusher (Atlanta’s Michael Tuner) last week and now must duplicate that effort against the NFL’s third leading rusher in DeAngelo Williams. In their regular season matchup, Williams ran for 108 yards and a TD. And even if the Cardinals manage to slow down Williams, they still have to contend with superstar wide receiver Steve Smith, he of the 1,421 yards receiving in 2008. Despite lighting up the Panthers’ defense for 381 yards passing, QB Kurt Warner will again need support from his running game due to star wide receiver Anquan Boldin being limited with a strained hamstring. Running back Edgerrin James had a solid game last week against Atlanta and may have ample opportunity for another good game this week. The Panthers run defense is ranked 23rd in terms of yards per carry, allowing 4.4. Panthers win, but don’t quite cover. Carolina defeats Arizona 27-20. How does "Senator Franken" grab ya? I haven’t opined on Al Franken being declared the winner of Minnesota’s Senate seat because so many others have covered it much better than I ever could. But the one thing I have been kvetching about since mid November is the fact that the Coleman campaign basically seemed content to sit on a 250 vote lead as the statewide recount commenced. By the end of election night, Senator Coleman had approximately a 700 vote lead. Somehow between election night and the time the election day results were certified by the Secretary of State’s office, that lead dropped by almost 500 votes. How is that possible??!! Again, that is a question that should have been broached by Norm Coleman himself. Did that mean there was fraud? Not necessarily. But the fact the Coleman camp didn’t demand some transparency on how their lead deteriorated was where they blew it. To me, their contesting the recount results in court now is the equivalent of starting to train for a half marathon the week before the event. Too little, too late. So we here in the great state of Minnesota have to endure six years of having an absolutely disgraceful and despicable human being represent us in the U.S. Senate. The maddening part is a mere 42.5% of those casting a ballot actually voted for Franken. But don’t expect me to elicit some knee-jerk response on how we need to adopt Instant Runoff Voting in this state. If we in the Republican party can’t put forth a candidate who doesn’t trounce a putz like Franken by double digits, then we get what we get. At the urging of some of my co-workers, I decided to get on Facebook a couple of weeks ago. It’s a really great social networking website that has allowed me to reconnect with friends, distant cousins and former co-workers whom I have not heard from in years. So everyday for the past two weeks I’ve thought of someone whom I could look up. Yesterday it happened to be my third cousins from Rochester, MN. I sent a “friend request” to Jenny and Angie but did not see a FB listing for either Jason or Chris. I heard back from Jenny within a few hours. Since I was on lunch, I only had a quick minute to browse her site. I saw on her photo album that her and husband Joe just had another child. Since Jenny is the daughter of my Mom’s cousin, I decided to call my Mom to let her know of the new addition. But when I called her I was informed of some awful news. Jenny’s younger brother Chris had been found dead near where he worked in California. He was only 27-years old. It’s amazing how things work sometimes. I hadn’t thought much about my Rochester relatives since I last saw them at, ironically enough, a funeral a little over three years ago. Then out of the blue I decide to contact them in what has to be their darkest hour as a family. I said some extra special prayers last night, that’s for sure. The blog Fraters Libertas is a daily read for me. Some of the best reading on said blog is Chad the Elder's insights on the present day Catholic Church. That said, I point you to Chad's great post entitled Love the Sinner, Justify the Sin. NFL wildcard weekend: There's no place like the road. Eagles (-3) at Vikings: If any team out of the Cowboys, Bears or Buccaneers won in Week 17, that would have been the Vikings’ first round opponent. Alas, all three of those teams lost, allowing the Philadelphia Eagles to sneak in to the playoffs. This is the toughest matchup for the Vikes, given the Eagles’ penchant for blitzing. The Vikings offense ranks dead last in pass offense when facing the blitz. Of course, a lot of those stats were accumulated when the statuesque Gus Frerotte was quarterback. With Tarvaris Jackson getting the nod at QB, his mobility allows him an opportunity to avoid the Eagles’ vaunted rush. That means running back Adrian Peterson will need to have one of his 150+ yard, 2-touchdown performances (and of course, holding on to the friggin’ ball would help). I think the Vikings will win and cover, 21-17. Falcons (-2) at Cardinals: Atlanta running back Michael Turner finished second in the NFL in rushing yardage with 1,699 yards. Turner’s success helped take a tremendous load off of rookie quarterback Matt Ryan, who himself had a nice year. Ryan led all rookie QBs with 3,440 yards passing and 16 touchdowns. He also played with the poise of a savvy veteran. Arizona QB Kurt Warner finished third in the NFL in touchdown passes with 30 and second only to Drew Brees in pass yardage. In fact, three Cards receivers (Larry Fitzgerald, Anquan Boldin and Steve Breaston) had over 1,000 yards receiving in 2008. This is a nice matchup for the Cards against a Falcons defense ranked 21st against the pass. Look for Turner to pound the ball down the Cardinals’ collective throats, thus keeping Arizona’s explosive offense off the field. Atlanta wins 27-24. Colts (-1) at Chargers:For some reason, the Chargers consistently provide the toughest matchup for the Indianapolis Colts. San Diego’s 3-4 defense has given Colts QB Peyton Manning fits over the years, including the Chargers upset of the Colts in last seasons’ divisional playoff game. However, the Chargers were next to last in pass defense in the regular season due in large part to the absence of pass rushing linebacker Shawne Merriman. With his third MVP award in the last six seasons, Manning looks to be in midseason form. The minor knee surgery he had in the offseason threw off his very strict regimen, a big reason the Colts started 3-4 and why Manning threw nine interceptions. In guiding Indy to nine consecutive wins, he has thrown only three picks to go with his 17 touchdown passes. Many surmise that Phillip Rivers made the leap to elite QB in the playoff game against the Colts last season. But he gained iron clad respect with his gutty play in the AFC championship game at 17-0 New England. Despite a partially torn knee ligament, Rivers played the entire game in a losing effort. Rivers’ stellar play continued in to the ’08 season as he led the NFL in TD passes and passer rating. Unfortunately for San Diego, Rivers isn’t a pass rusher. Look for Manning to have yet another huge game in a 31-21 Colts victory. Ravens (-3) at Dolphins: My, what a difference a year makes. When these two clubs met in Week 15 of the 2007 season, they entered the game with a combined record of 4-22. They would end the year at 6-26. This season, both teams were guided by rookie head coaches to an 11-5 finish. What’s even more impressive is the Ravens succeeded with rookie quarterback Joe Flacco while the Dolphins’ phenomenal turnaround came after picking up veteran Chad Pennington off the scrap heap. As is usually the case, Baltimore’s defense was the main reason for their success. Linebacker Ray Lewis once again finished the season with more than 100 tackles while safety Ed Reed led the entire NFL with nine interceptions. The Dolphins’ unique “Wildcat” offense vaulted them from 28th in overall offense in 2007 to 12th this season. And the Dolphins were able to move the ball effectively against the Ravens to the tune of 359 total yards in their Week 7 matchup, a 27-13 Baltimore victory. But the Ravens’ D will step it up big time in a 24-17 Baltimore win. Looking ahead to the new year! January 1 is the one day when there is the most collective optimism about life, a chance to "start over" if you will. For my family, I predicted 2008 would be a great year for us. I guess that's because 2007 was so wrought with peril that '08 could do nothing but get better. Granted my father-in law's passing in February was a difficult way to start the year. But we held strong in the knowledge that the Lord would never leave us nor forsake us. I could make predictions as to what is to occur in 2009, like our family expanding, more opportunities to travel, another job change, etc. But I choose to seek the Lord's will and determine what He has in store. May 2009 be all you hope for and desire!